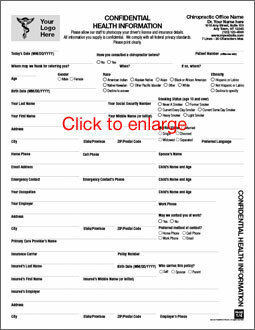 If it’s been awhile, you may be using an out-of-date version of our intake form. We’ve made some important enhancements over the years. Our most recent upgrade is even more significant! We’ve added the ability for patients to record a secondary and tertiary admitting complaint, while moving your consultation notes to a separate document. Click on the two thumbnails to see the current version of both. Click the button to upgrade your personalized intake form now!